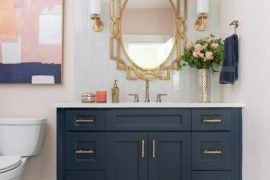 Modern homeowners and designers are placing as much care with the style and color scheme of their bathrooms as they are with the remainder of the house. 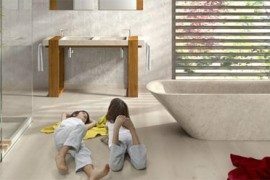 A drop in the pricing of lavish bathroom fixtures and accessories, and a willingness to spend extra dough for the home spa experience have truly altered the dynamics of contemporary bathrooms. 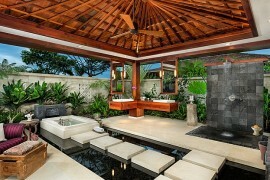 And one of the current happening bathroom design trends is the standalone bathtub. 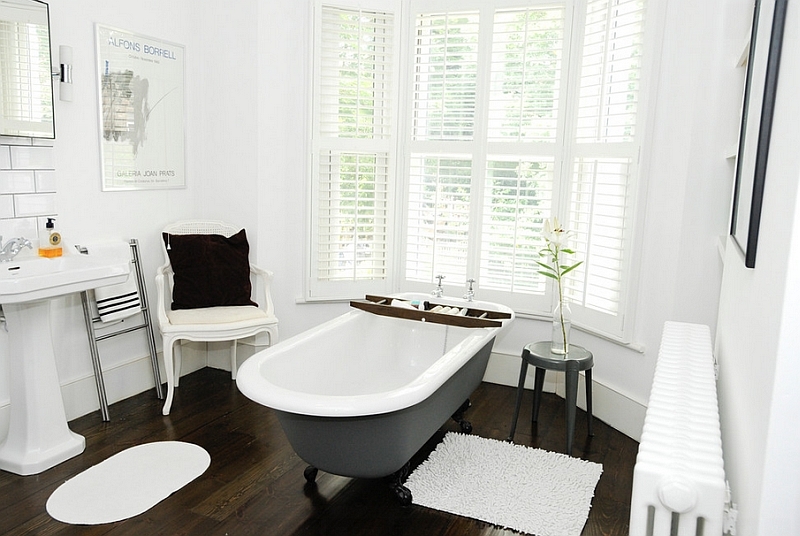 While we already showcased some amazing freestanding bathtubs at the start of the year, it is now time to reinvent these tubs and paint them in an entirely different hue! 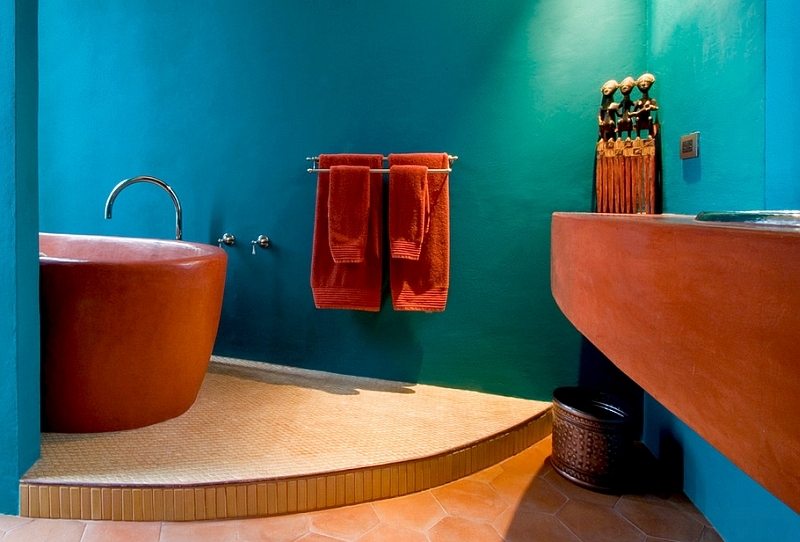 A colorful bathtub adds life to your bathroom and can define the color scheme of the space. 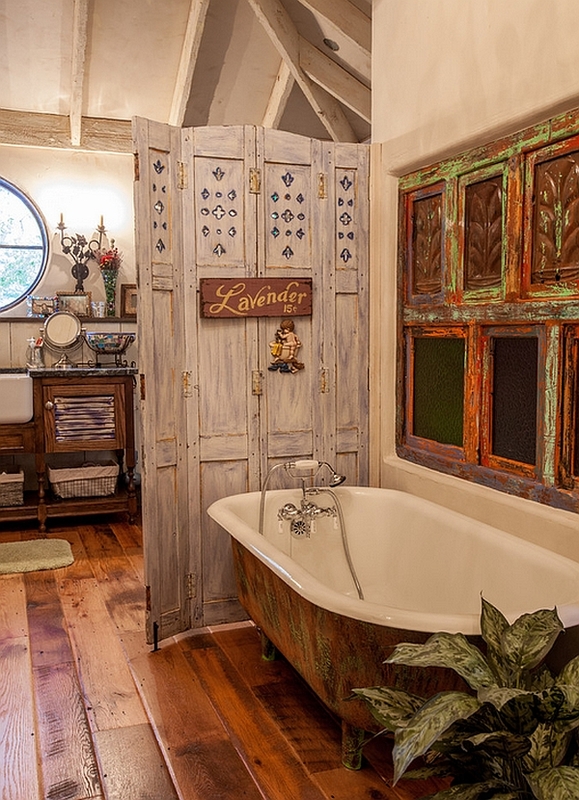 It could be a flashy, new bathtub in one of those rare, exotic shades or an old claw-foot bathtub that’s been repainted with panache. 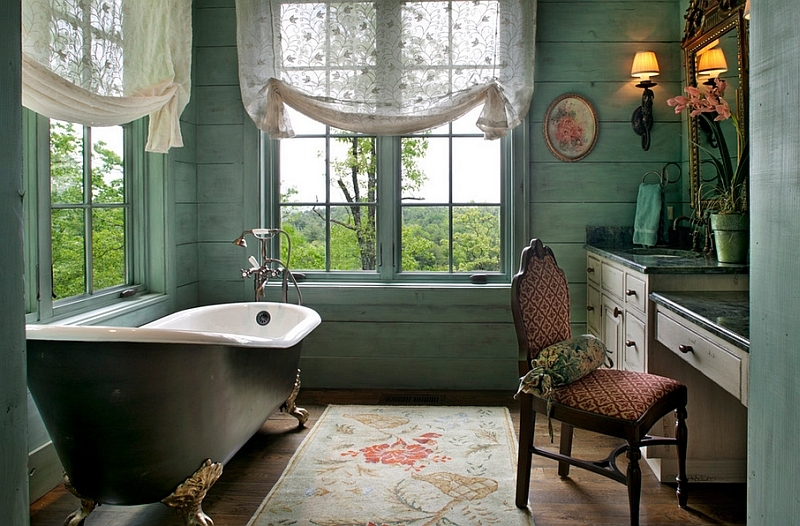 No matter what path you choose, one thing that these color-draped bathtubs are not is boring and mundane. 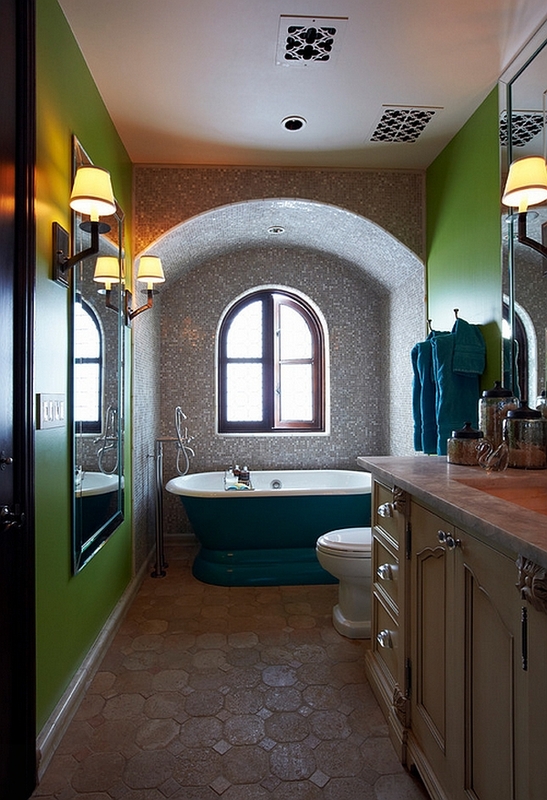 So, why not bring back some fun and brightness with a splash of bold color in the bathroom? 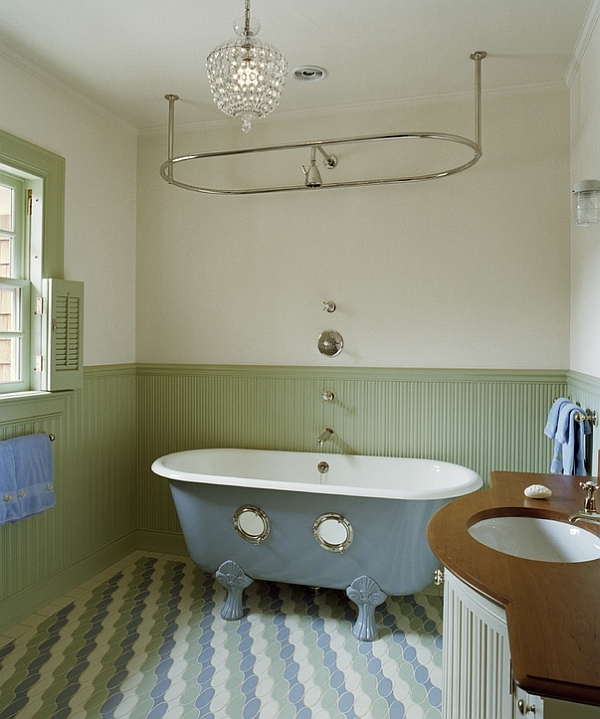 There is a reason why most of the painted bathtubs that you see are revamped and reinvigorated old claw-foot bathtubs. 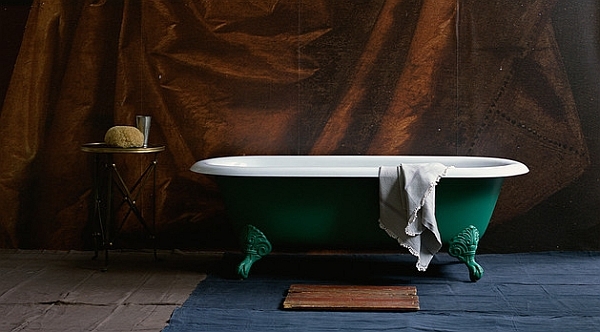 Somehow, a paint job on these classics seems far more energizing and visually appealing than on a modern ceramic tub. Add to it the fact that their claw feet can be painted in a different color or left in a neutral shade to really drive home the point, and you have a luxurious classic that is quickly becoming a staple in modern homes. 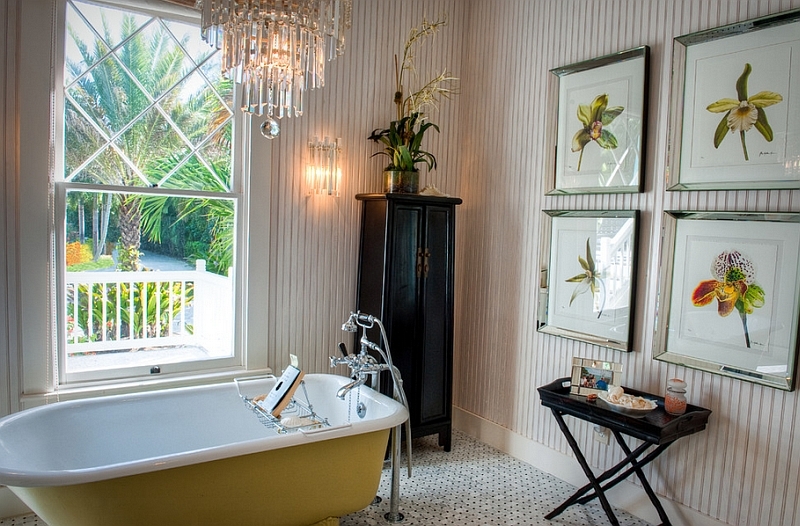 The tub comes in a variety of styles, such as the classic roll rim top (which looks the most lavish), the flat rim top, and of course, the slipper tub. 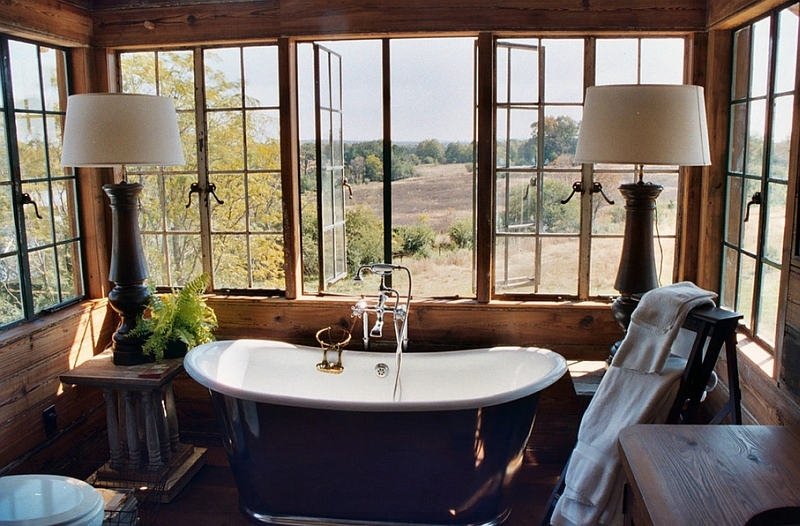 Purchase a true antique claw-foot bathtub that is still a precious collectible, and you will have to fork over a considerable sum of money. Modern replicas, though, are far cheaper, and you can more freely experiment with the paint job. 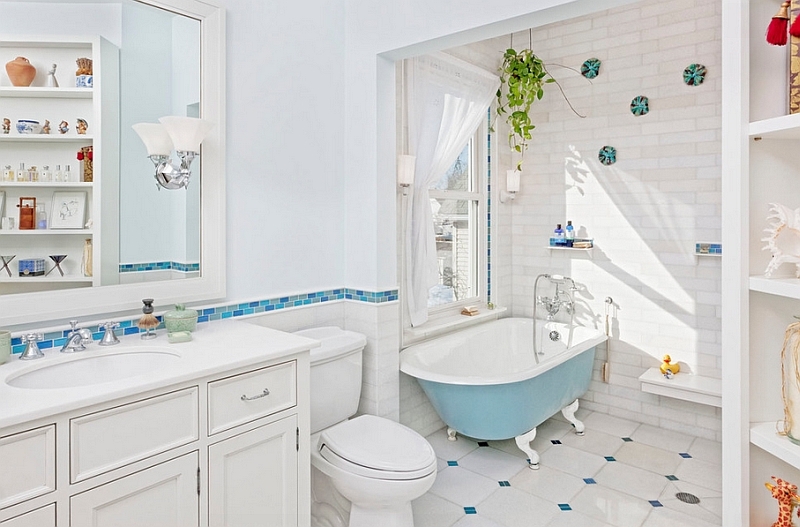 If you are placing these tubs in a contemporary setting, then pastel hues (which are also currently dominating the fashion world) are the ideal choice. 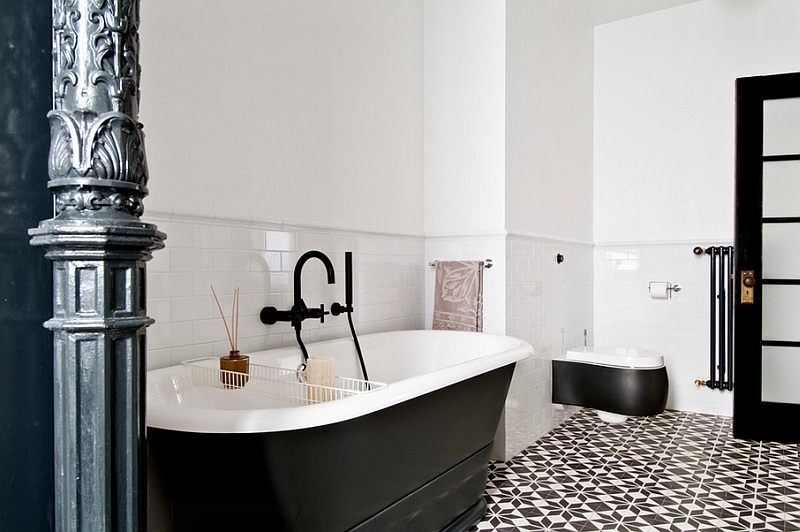 Bathtubs in black and gray also seem more modern than vintage. 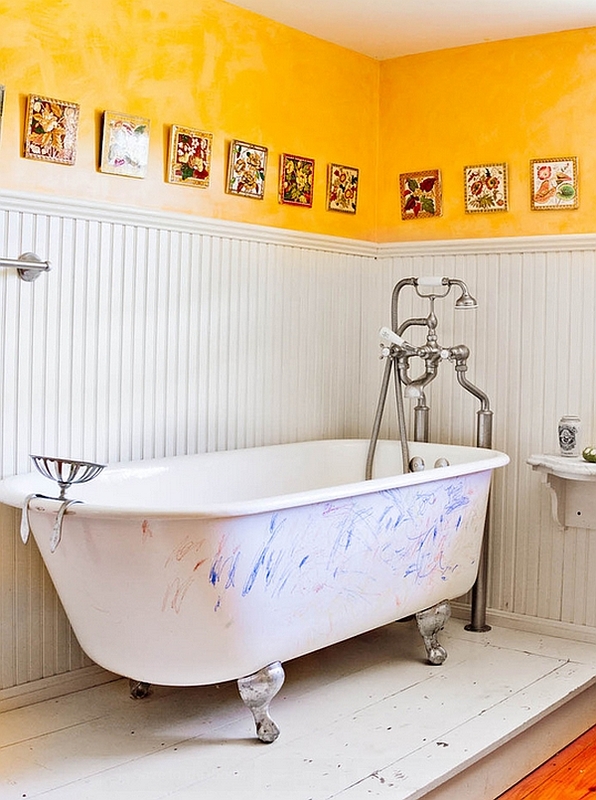 Colorful bathtubs are not just relegated to the claw-foot lineup alone. 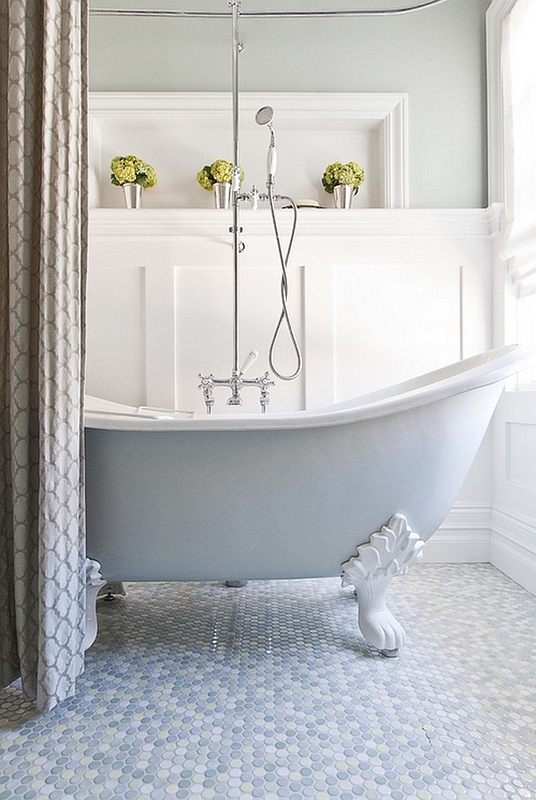 Another ageless classic, the pedestal bathtub, is also a fine fit for the multi-hued makeover. These look far more regal and make their presence felt no matter where they are placed. 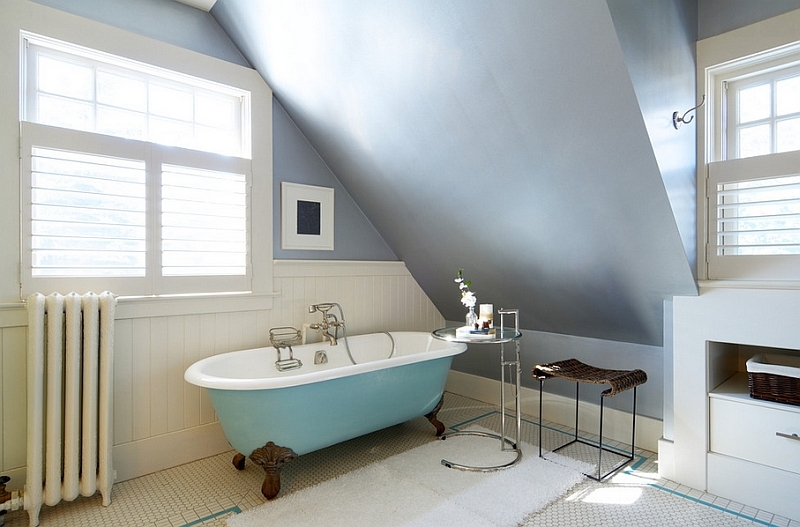 Since freestanding bathtubs often have very little footprint compared to the rest of the bathroom, using a bold color does not really overwhelm the space. 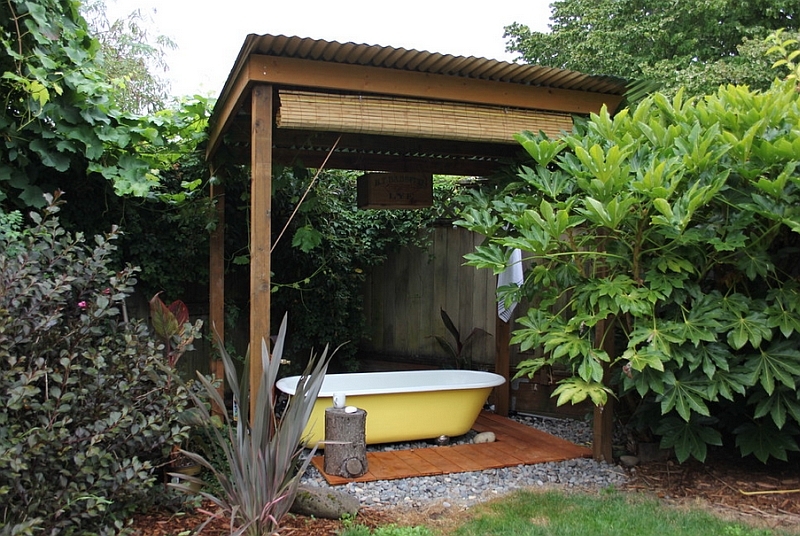 There are also many contemporary ceramic bathtubs along with wooded and stone versions that bring in a distinct hue. These might not be as stark as bright red or jade green, but they are a lot better than the simple white versions. 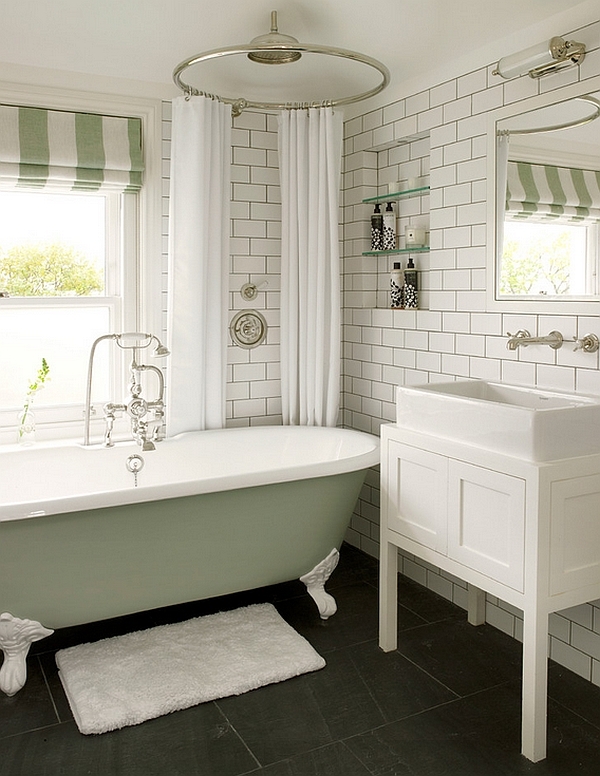 It is always better to first pick the color scheme of your bathroom and then use the brilliantly adorned standalone tub to accentuate it. 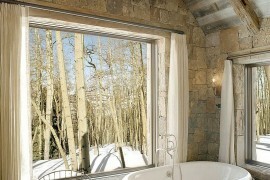 But if your existing bathroom is monochromatic or clad in unassuming cool neutrals, then the choices are indeed endless. 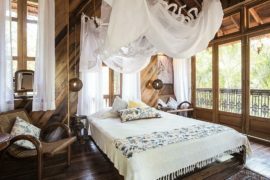 Remember, though, that the color you choose will play a pivotal role in setting the mood of the room, and hence always opt for a shade you are comfortable with. 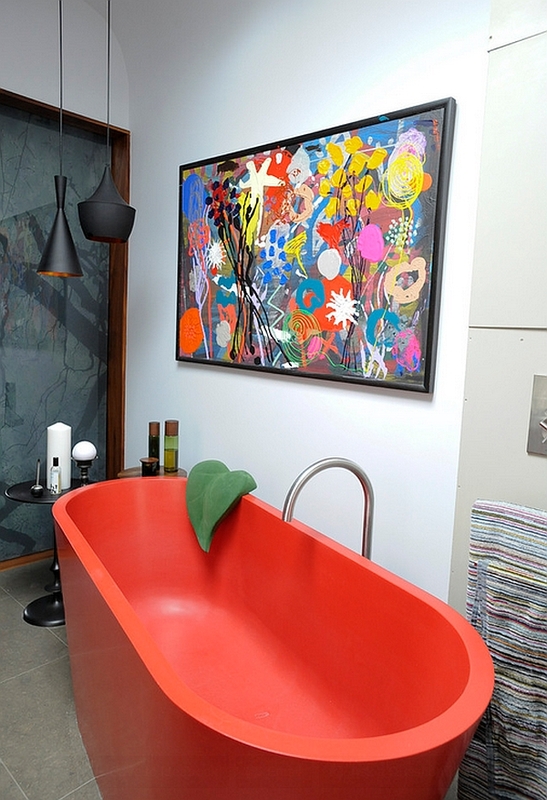 The colorful bathtub is not just about a myriad of hues, but also about an array of styles! 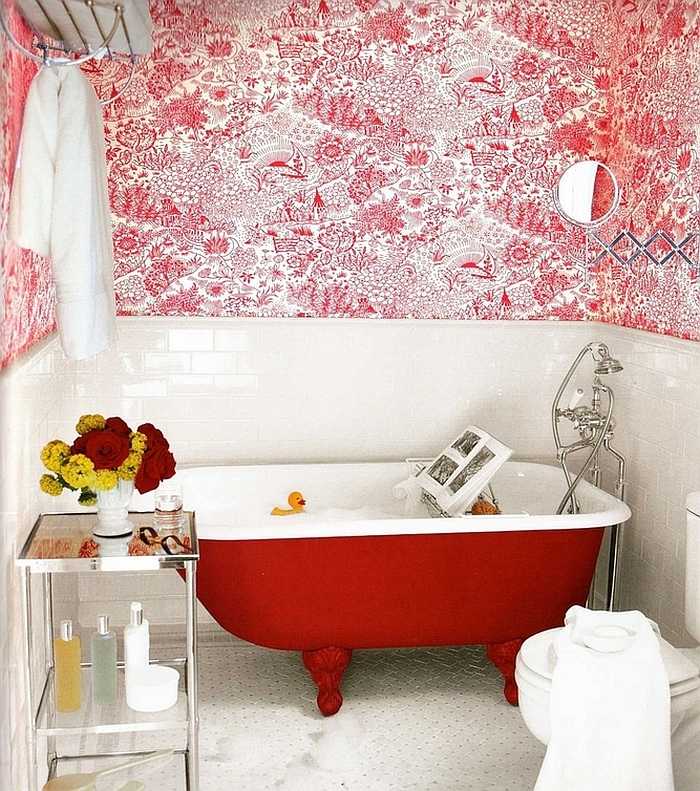 The invigorating and peppy red bathtub is for those who might want to give their bathroom a vintage or retro makeover. 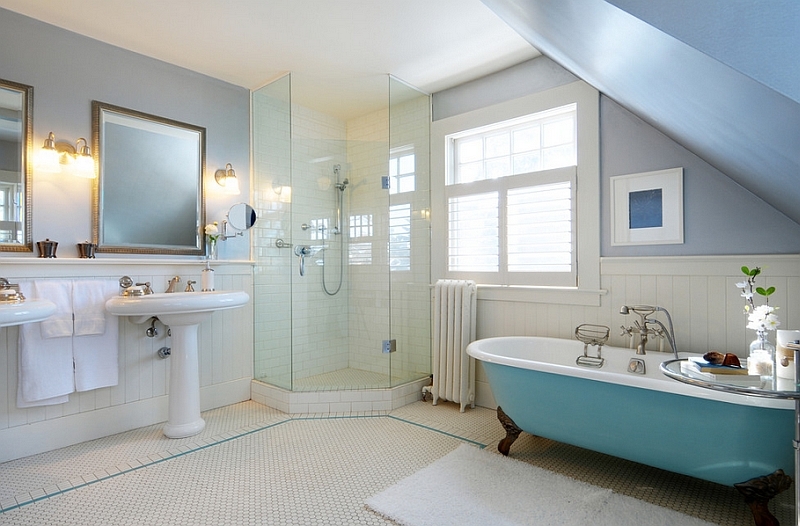 Cool blue bathtubs look at home in modern bathrooms and obviously evoke a serene yet opulent aura. 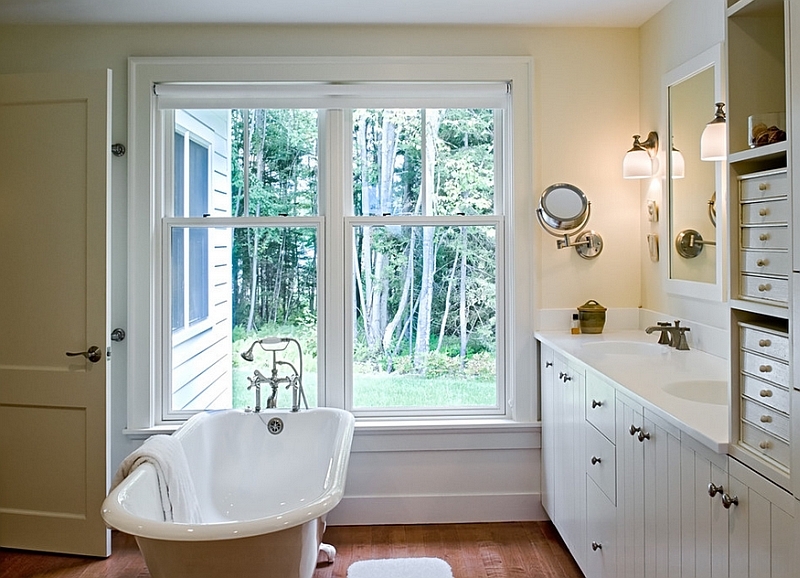 Gentle tones of yellow bring in freshness and mellow charm in equal parts and are ideal for cottage-style and farmhouse settings. 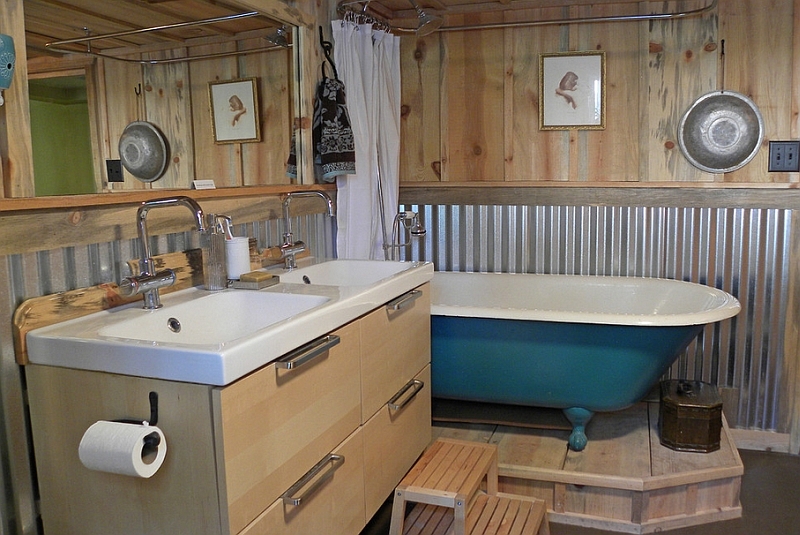 You can even coat the bathtub with special iron-reactive paint to get that custom, rusted look. 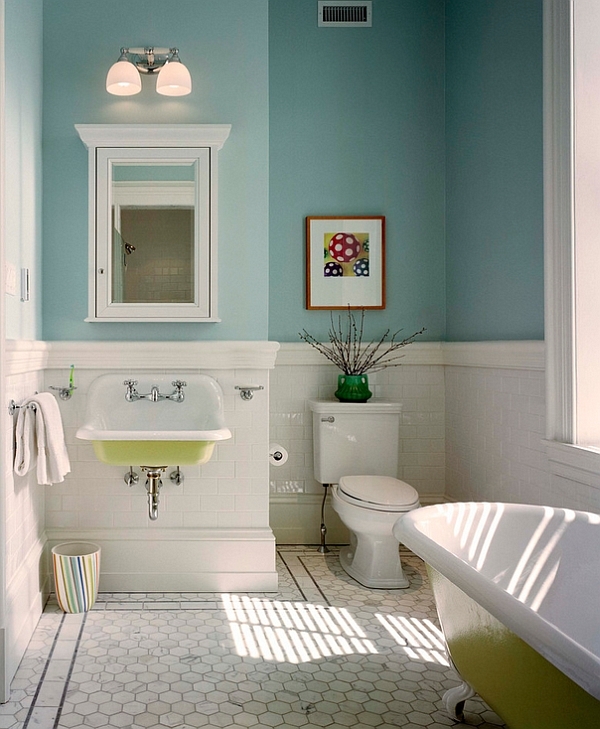 Greenish-blues portray a more audacious and eclectic approach to bathroom design. 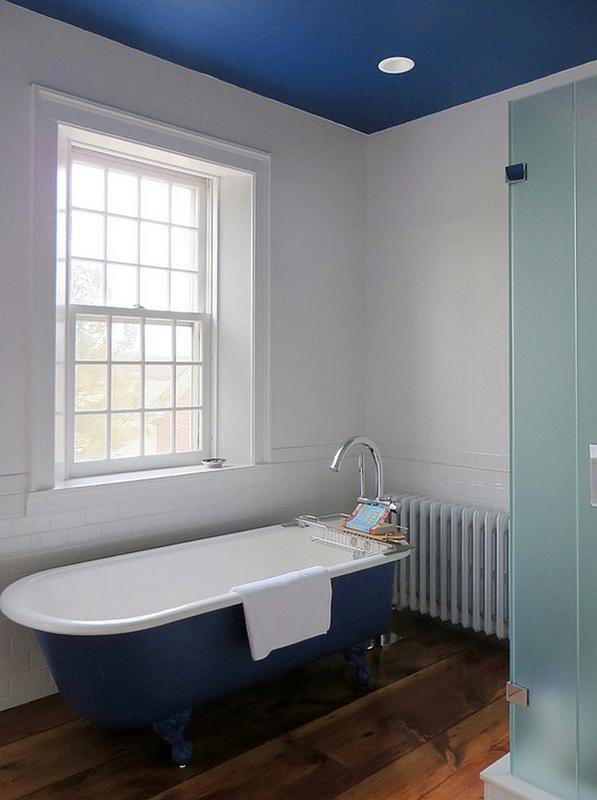 Obviously, the color that you choose only works well if the rest of the bathroom is in tune with the vibe of the bathtub. 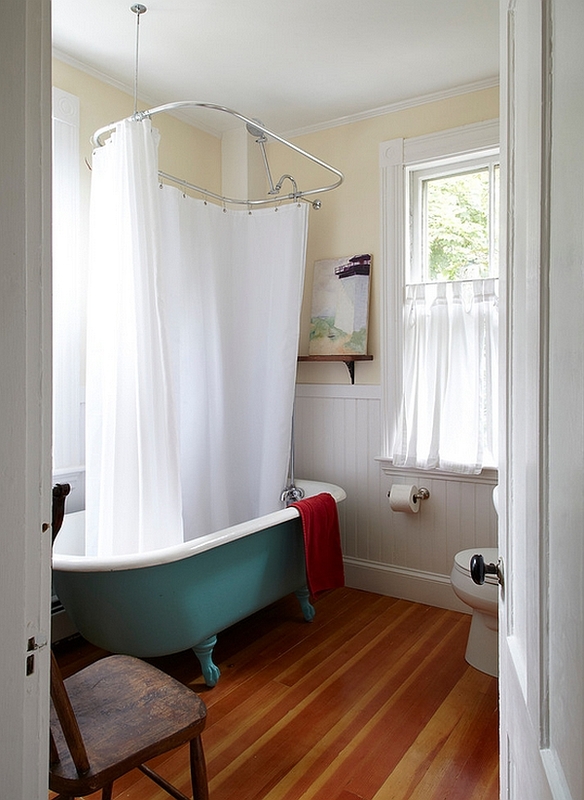 And you can even use a sleek, red bathtub in a minimal space or a selection in yellow pastels for a modern bathroom. Once again, it is time to get inventive, and do not hesitate to push the envelope in terms of style. 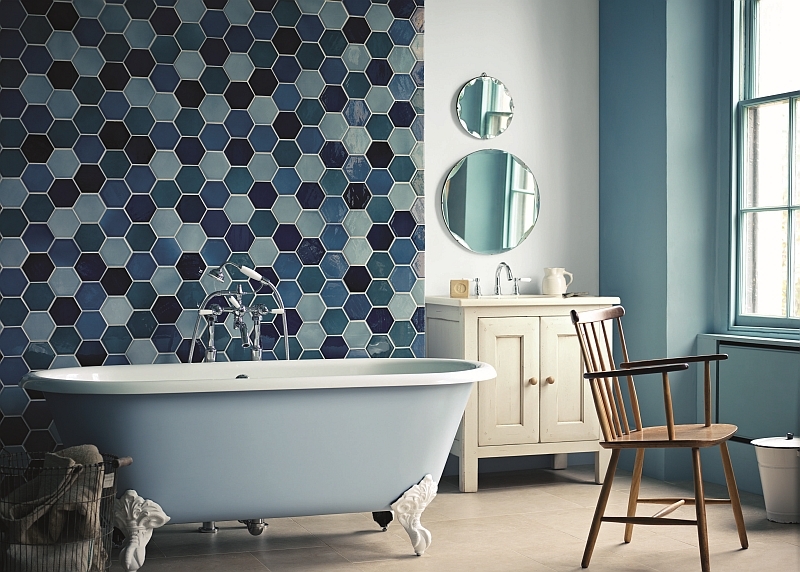 Choose a matte finish for an antique look or keep it glossy and energetic; at the end of the day, it is all about what color you want to surround yourself with.